DEER LAKE, N.L. 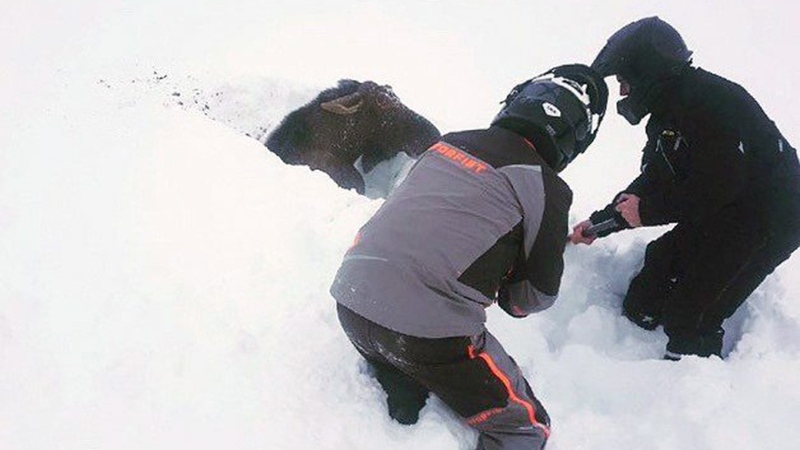 -- A group of snowmobilers pulled out their shovels to free a stuck moose after spotting its head poking out of freshly fallen snow in western Newfoundland. "We knew the moose was stuck really good," he said in an interview on Wednesday. "He tried several times to get himself out of the hole, but he wasn't getting anywhere." "When a moose gets distressed, they pin their ears back, their hair stands up on their back, and they lick their lips a lot," he said. "You could tell he was extremely distressed." 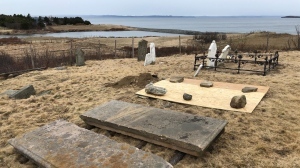 "After he realized he wasn't moving, he just kind of stopped and lay down," said Anstey. 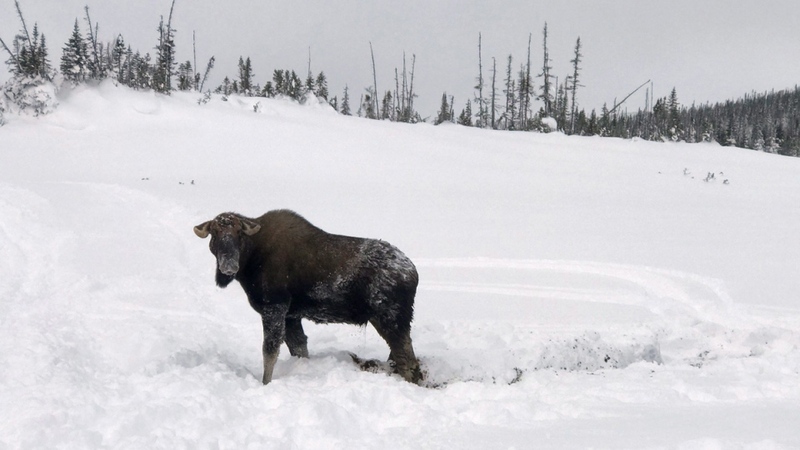 After a few minutes of digging, Anstey said they had carved out a path behind the moose, and one of the snowmobilers rode up to the animal to coax it to turn around. "The moose actually realized it had footing on solid ground and managed to pull himself out of the hole," he said. The liberated moose hung around for a bit to dry off, Anstey said, occasionally looking at its rescuers as if to say "a little thank you" before trotting away. "I wouldn't recommend rescuing it even though we did, because we're experienced outdoorsmen," he said. "You don't really want to get close to a big animal like that as they can charge or do a lot of damage." "We'd like to be known as a back-country riding clinic and not a moose rescuer," said Anstey. "We do what we need to do to help the wild as much as possible and give them their space."